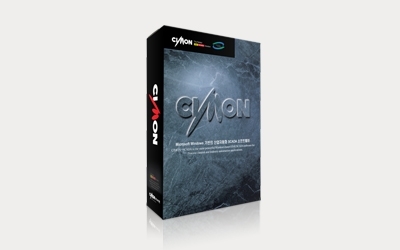 CIMON SCADA is designed with an open structure to satisfy various user characteristics and easy-to-build interfaces with your software system. Compatibility in communication with a variety of industrial devices helps construct an optimum network, enabling a stable and integrated network. Diverse Web functionality for networks and remote control. SCADA features mobile-enabled ODBC and is programmed with SQL to easily connect to any database. Its integrated graphics, Visual Basic Script, and a variety of other functions prove SCADA’s value. Users can save and manage historical data which can be exported to text or an Excel file used to illustrate historical trends. Built to control the production of different products, Recipe Editor offers a simple user interface to create, save, and edit parameter sets. 2D and 3D chart can be generated using Data Logging technology. UltimateAccess provides real-time and historical mode trends. A maximum of 16 tags can be added to a Trend display. YT, XY, ST and Multiple trends are available. Built-in graphics and animation libraries help users import and create their own custom graphics. Simple graphics editing and animation can be done directly within UltimateAccess. Advanced graphics image and animation libraries are built-in. Users can create their own animation and import different types of graphics. Simple graphics editing (Including animation) can be done directly in UltimateAccess. 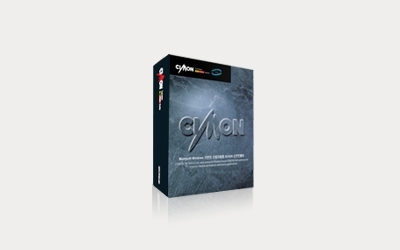 CIMON-SCADA supports OLE Automation. Through OLE, other programs can monitor and control CIMON. Further documentation can be found in the download center. CIMON supports more than 500 protocols to adapt to the ever-changing industrial field. User protocol helps users build communication drivers using user-friendly tools. Redundancy system for CIMON-SCADA can also be configured by RS232 or Ethernet. This also includes communication redundancy for Primary and Secondary servers. Facilitating data communication between CIMON-SCADA. FEP Communication is used when clients need to verify server tag data. Provides an easy and user-friendly interface for data communication. (Conforms to standard OPC specifications). ‘CIMON-SCADA’ is a powerful and reliable all-in-one tool with a variety of uses from designing graphical pages to monitoring and controlling industrial sites. SCADA Redundancy (Primary / Secondary) Web Server and Client Remote Control (Explorer browser or Mobile App on iOS/ Android) Multiple Protocols and PLC Drivers (OPC, ODBC, SQL, OLE, TCP/I..
‘CIMON-SCADA’ is a powerful and reliable all-in-one tool with many uses from designing graphical pages to monitoring and controlling industrial sites. SCADA Redundancy (Primary / Secondary) Web Server and Client Remote Control (Explorer browser or Mobile App on iOS/ Android) Multiple Protocols and PLC Drivers (OPC, ODBC, SQL, OLE, TCP/IP, Modbus,..